People fear giant Asian hornets (Vespa mandarinia) and Africanized honey bees (Apis mellifera scutellata), for good reason. Although giant Asian hornets typically don't attack humans unless provoked, a sting from the hornet's 1/4-inch stinger packs enough venom to disintegrate your skin. In Asia, they kill around 40 people each year. A swarm of threatened Africanized honey bees can be deadly as well, and are responsible for the deaths of 175 people in Mexico alone since 1985. Africanized honey bees have fuzzy, yellow bodies covered in black stripes. Despite their fearsome reputation, they are slightly smaller than European honey bees, but physically indistinguishable. Honey bees in general are less than one inch long. In contrast, Asian giant hornets are the largest hornets in the world, with adults reaching lengths of up to 2 inches with 3-inch wide wingspans. Asian giant hornets have broad, orange heads and orange bodies with black or dark brown stripes. The geographic ranges of Africanized honey bees and giant Asian hornests do not overlap. Although native to regions in eastern and southern Africa, Africanized honey bees have been introduced to South, Central and North America. Brazilian beekeepers brought African queens in hopes of increasing honey production in their hives. Once accidentally released, the Africanized honey bees spread throughout South and Central America. Colonies have since established themselves in California, Texas, Arizona, Nevada, Oklahoma, Arkansas, Louisiana and Florida. Asian giant hornets live exclusively in eastern and southeastern Asia north of the tropics, most commonly in Japan. Africanized honey bees, like all honey bees, produce honey by feeding on the pollen and nectar from flowers. Their larvae eat nectar and royal jelly secreted by the workers, which forage for food for the entire colony. In contrast, giant Asian hornets are largely insectivorous. They prey mostly on bees, but also other insects. They attack beehives en masse, removing the larvae and bodies of the bees, which they will chew up and feed to their own larvae. A single giant Asian hornet can kill as many as 40 bees in a minute; a small swarm can slaughter 30,000 honey bees within a few hours. Intense and aggressive defense of their hives distinguishes Africanized honey bees from their European brethren. If their hive is disturbed, Africanized honey bees will go on the attack and swarm around the source of the disturbance, chasing it a mile or further. Asian giant hornets attack beehives in groups. A single scout leaves a locator pheromone, which its colony will detect and swarm on the colony. Although Africanized honey bees don't live where Asian giant hornets live, European honey bees are the hornets' favorite prey. Imported by Japanese farmers, the honey bees had no natural defense to the hornets. 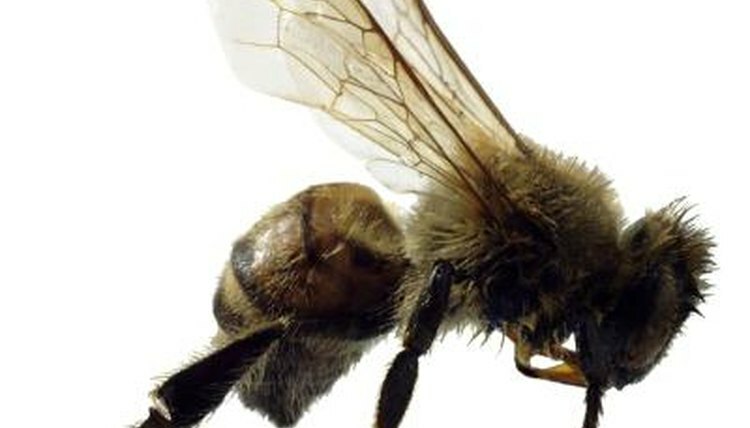 Japanese honey bees, however, have developed a defense. Recognizing the scent of the scout hornet's locator pheromone, the honey bees swarm the scout, vibrating their bodies to increase the temperature surrounding the hornet to intolerable levels. The heat combined with suffocation ultimately kills the scout so it can never send its message to the colony.